Infiniti plans four-door Porsche Panamera rival | What Car? Infiniti is planning a flagship, sporty four-door in the mould of the Porsche Panamera as the joint flagship of its expanding range. The swoopily styled four-door will take its styling inspiration from the Essence concept designed by Nissan/Infiniti design chief Shiro Nakamura and first shown at the 2009 Geneva motor show. 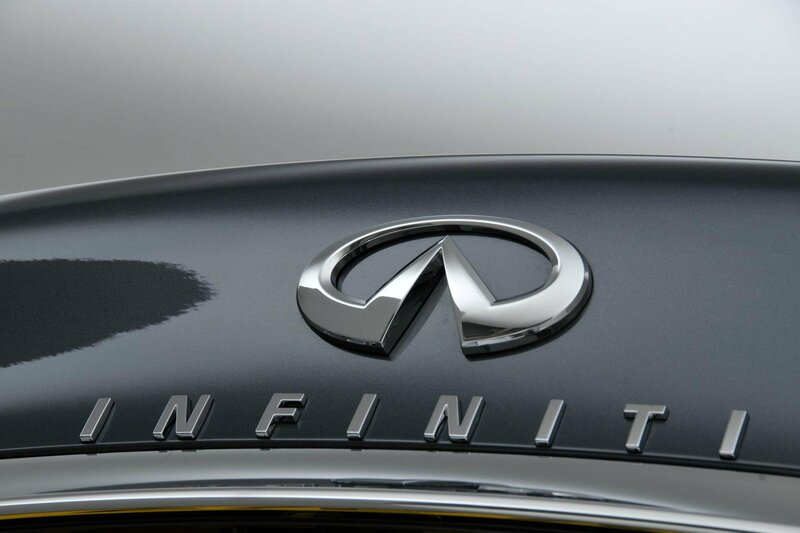 The new model is part of Infiniti’s ambitious plan to become a serious global luxury brand by carving out 10% of the market. That equates to about total sales of 500,000 by 2020, backed up by a significantly expanded model range and huge investment from parent Nissan. One estimate puts the cost of the total plan at $10b – $1b a year to 2020 – which is enough to add a further five models to Infiniti’s model range while significantly overhauling the rest of it. The plan is being backed-up by Infiniti’s ‘title’ sponsorship of Red Bull Racing, which is pivotal to spreading awareness of Infiniti around the globe. Avoiding head-on conflict with the established German and British players in the luxury market, Infiniti’s plan is built around a mix of sporty-focused saloon, coupe and SUV models, each styled with panache and powered by hybrid powertrains. ‘We can’t just take on the opposition directly, we have to bring our own unique flavour to the global market,’ said new Infiniti boss Johann de Nysschen, who last year left a comfortable job running Audi North America to launch Infiniti on the global stage. The desire to be different is the inspiration for the sweeping four-door flagship. Nakamura’s team is understood to be working around the dimensions and detailing of the Essence concept, while stretching its proportions and roofline to accommodate a roomier rear cabin and extra pair of doors. The dominant styling feature is likely to be a sweeping, fastback roofline. The launch timing isn’t yet confirmed, but a date around 2017/18 is being mooted. There’s a possibility that the new model will be based on the latest large Mercedes-Benz platform that will underpin C-, E- and S-Class models, just as the new Q30 is based on Merc’s latest small platform, on which the latest A-Class hatchback is based. Later in the decade, Infiniti’s plan calls for the Essence four-door to be joined by a mid-engined two-seater powered by a high-tech hybrid powertrain, inspired by the Emerg-E concept first revealed at the Goodwood Festival in 2011. The production Emerg-E is conceived as a supercar, but appointed with a luxury cabin, more in the mould of a Jaguar or Aston Martin than a Ferrari. ‘We don’t want to get too far away from the centre of gravity of the brand,’ says Palmer. ‘We have the halo car in the plan, but it is not signed off yet. The sales of saloons like the Q50 and SUVs like the QX60 will have to be going well and then I can go to our approval committee,’ says Palmer. Both cars will be considered flagships – one for the saloon range and the other for Infiniti’s sportier range of cars. This marks a significant about-turn in Infiniti’s current strategy, which places two SUVs at the head of its range: the imposing US-only QX80 4x4 and the sportier FX off-road coupe. A new sports sub-brand may also evolve to reflect the Red Bull links, although Palmer says exactly how that will work on the cars has yet to be finalised. The plan to raise sales to 500,000 a year will initially be concentrated on cars sized from 4.4m and over, starting with the new British-built Q30 crossover, revealed in concept form at Frankfurt. That rules out a supermini-sized equivalent of the Audi A1 or BMW’s forthcoming family of Mini-based front-wheel-drive 1 Series models. ‘A smaller car isn’t in the 2020 plan,’ Palmer confirmed. Two-door roadster and coupe models to take on the Merc SLK and BMW Z4 are also on Infiniti’s long-term wish list, but are also currently outside the 2020 plan. ‘There’s a desire by some people internally to make the next Nissan GT-R and 370Z Infiniti models, but that would be wrong for the brand,’ said Palmer. Palmer considers warmed-over models like the early 1990s G20 – a re-badged Nissan Primera – as a setback for Infiniti’s brand development and doesn’t want to repeat the mistake. Another model that’s pencilled into the global plan is a seven-seat SUV. Infiniti currently has a US-only JX model based on the Nissan Murano, but executives have revealed that a replacement for the JX is likely to become a global car sold in Europe, probably towards the end of the seven-year plan in 2019/20.